Becky Karp is the Creative Director for Manolatos Nelson Murphy. With over eight years of design and art direction experience, Becky has produced award-winning work across a variety of media. She leads the creative team through planning, design and production. She plays an integral role in project coordination and research. 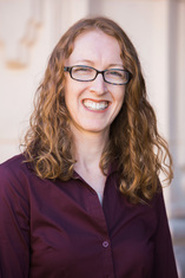 Becky has directed the creative concepting and design for successful campaigns supporting water utilities, public schools, labor unions and nonprofits. She manages all aspects of design and production for MNM, as well as managing print and mail projects. Becky brings a passion for positive social change. She graduated from The Art Institute of California - San Diego, with a degree in Graphic Design. Becky also holds a degree from UCSD in Philosophy.